Larger than most ducks but smaller than geese, shelducks are colorful birds and therefore easy to recognize. Actually, because both sexes are practically the same colour and both care for the eggs and chicks, they resemble geese more than ducks. 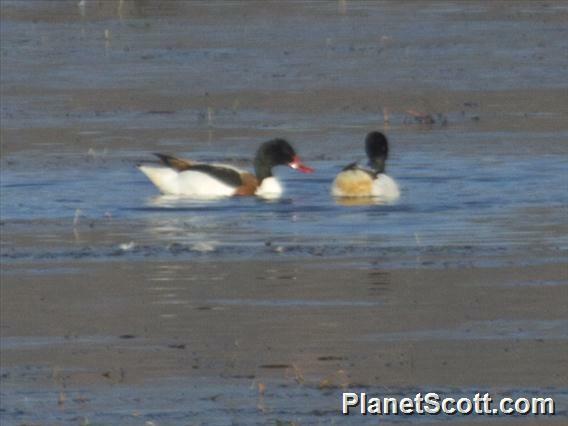 Shelducks like mud. They grub in the mud while looking for something to eat, such as worms or snails.